This is the continuation of the previous blog about Great Lakes islands, where I began with the islands of Lake Michigan and Lake Superior. 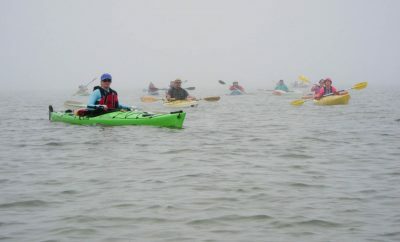 Of all the Great Lakes, Lake Huron has the most islands easily accessible by tourists. I think the main reason for it is that all of these islands are located close to the shore. And therefore, they can be reached by either, a short ferry ride, or by driving directly over a connecting bridge. 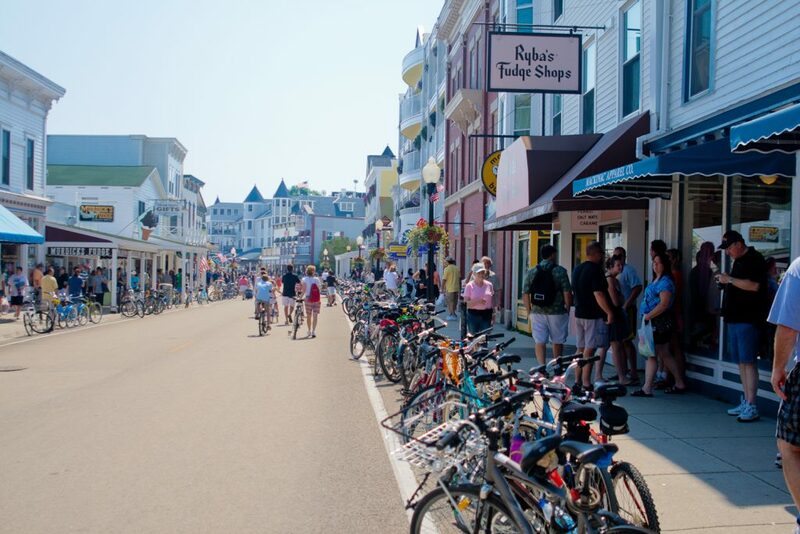 Busy main street on Mackinac Island. 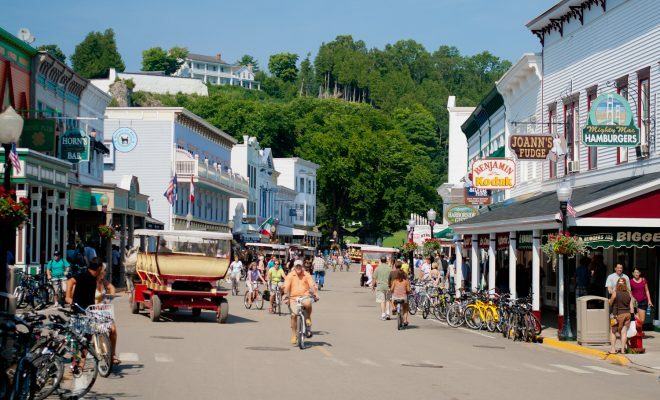 Mackinac Island is a prime tourist destination in northern Michigan. It is one of the more popular (if not the most popular) of the Great Lakes islands. The island offers great choice of accommodations, restaurants, shopping and nightlife. For active recreation you can go biking (rental available) or hiking around the island. You can also golf on the island. To get to the island you can take a ferry from either Saint Ignace, MI or Mackinaw City, MI. 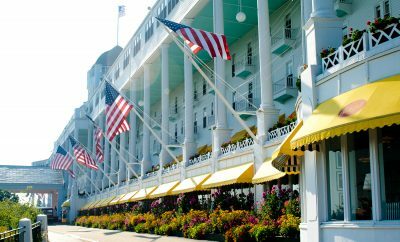 More info is available on Mackinac Island website. Insel Hous on Bois Blanc. Bois Blanc is just south of busy Mackinac Island. However, it is nothing like Mackinac. It is undeveloped, unspoiled location for people looking for solitude and a place where they can do nothing. The island has only one place to stay at, the Insel Hause B&B. To get to the island you take a ferry from Cheboygan, MI. More info about Bois Blanc is available on Insel Haus website. 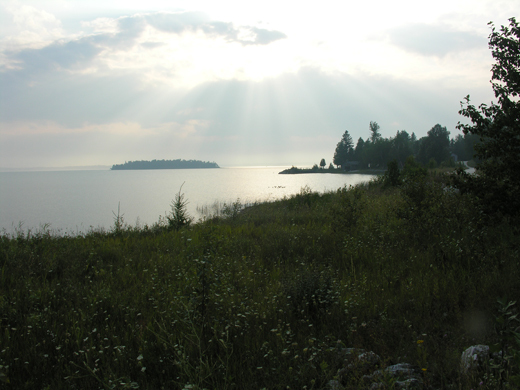 Drummond Island is another undeveloped location where people go the get close with nature, hiking, hunting, fishing, bird watching, kayaking, etc. There are also ATV trails, and “off-roading” is a popular activity. There is a number of accommodations available, from motels, b&b’s and vacation rentals to campgrounds and RV parks. 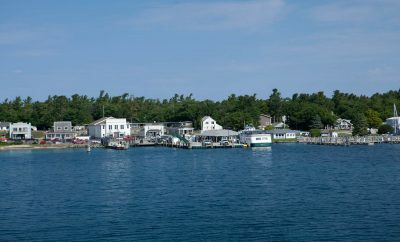 To get to the island you need to take a short ride on a ferry from De Tour Village, MI. More info can be found on Drummond Island website. 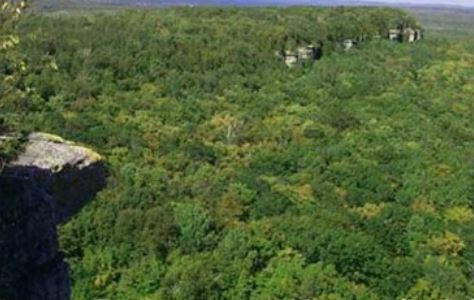 Manitoulin Island is the largest freshwater lake island in the world and therefore the largest of the Great Lakes islands. It is located in the Canadian part of Lake Huron, in the province of Ontario. The island is an Indian reserve. It is a place for hikers and bikers to enjoy the natural beauty. 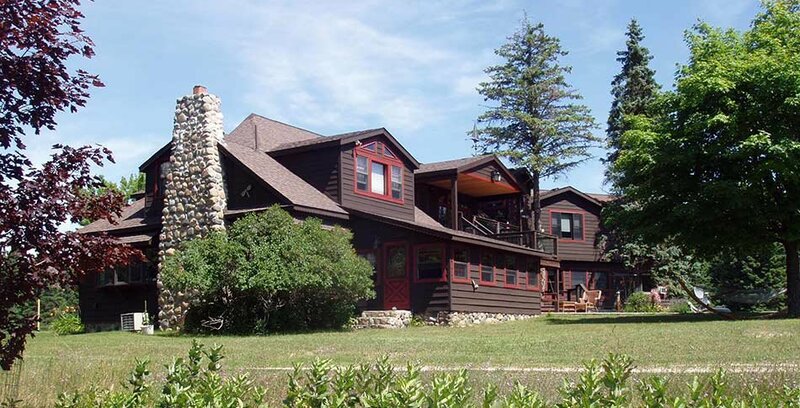 The accommodations there include motels, b&b’s, rental cottages and campgrounds. You can reach the island by car from the east dirving from Espanola, or by taking a ferry from Tobermonry, ONT. More info is available on Manitoulin Island website. Sugar Island is located in the northern most part of Lake Huron, just east of Sault Ste. Marie, MI. It is, pretty much, a wilderness area. The island is covered by deep forest. So it a great place to spot a moose or hear a wolf howling. There is also a heron rookery. To access the island, you need to take a ferry from Sault Ste. Marie. More info is available on Sault Ste. Marie website. St. Joseph Island is located in north part of Lake Huron, about 42 miles (by road) southeast of Sault Ste. Marie, MI. The island is on the Canadian side of the lake. 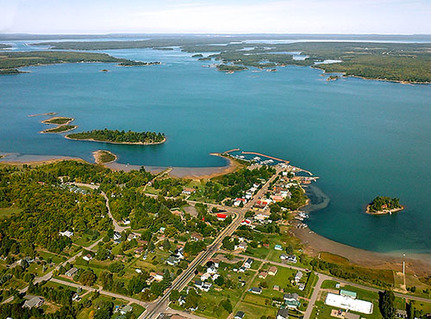 It is the second largest island on Lake Huron (after Manitoulin Island). The island is connected by a bridge with the mainland. Accommodations include few motels, cabins and b&b’s. More info can be found on St. Joseph Island website. The island is the largest in the Georgian Bay group of islands on Lake Huron. 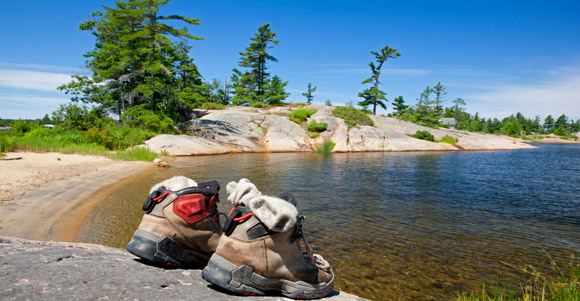 It is part of a Georgian Bay Island National Park in Canada. The accommodations include cabins and campgrounds. The island is accessed by a ferry from Honey Harbour, ONT. More info can be found on Parks Canada website. I wanted to thank you for this great read!! I definitely appreciating every small touch of it I have you bookmarked to take a look at new material you post.